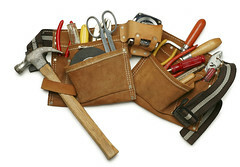 You are currently browsing the HireContractor.com Blog blog archives for June, 2012. Most of the homeowners at some point realize they have too many little projects to be done around the house and they have no time or skills to do it themselves. At this point, a local handyman comes in really handy to get all these little projects taken care of without delay. In today’s technology driven world, almost everyone from kids to grandmas have access to the internet not only on a computer but also on their smartphones or tablets or ipads, making it fairly simple to find a local handyman. Local handymen aren’t hard to find. Finding the qualified ones might be a bit more difficult. Of course, anyone who has experience puttering around the house, and is good at it, can call himself a handyman and there’s nothing wrong with that. All you got to do is find someone who can help you fix your home and solve your problem without causing any further damage or issues to deal with. It’s easy to find a local handyman online – even if he lives in the same zip code! There are some quality online job boards, online classified ads placed by people who can do all sorts of things from painting to tile replacement. Places like www.Hirecontractor.com have many qualified individuals who’d love to hear from you. Just post your project and you will hear back from several handymen.